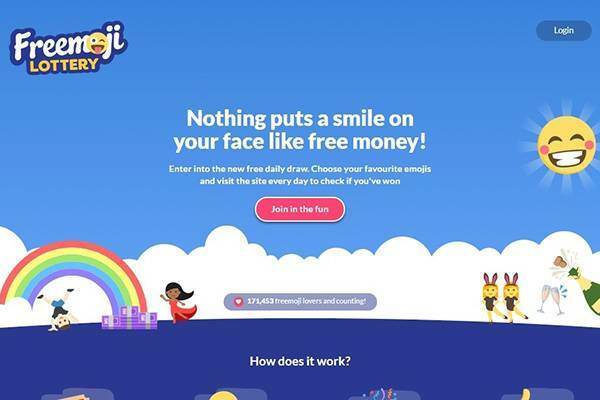 Freemoji lottery is an online lottery platform that is run by Free Post Code Lottery and like its’ name implies, is hinged on two features: it is free and it involves the use of emojis. 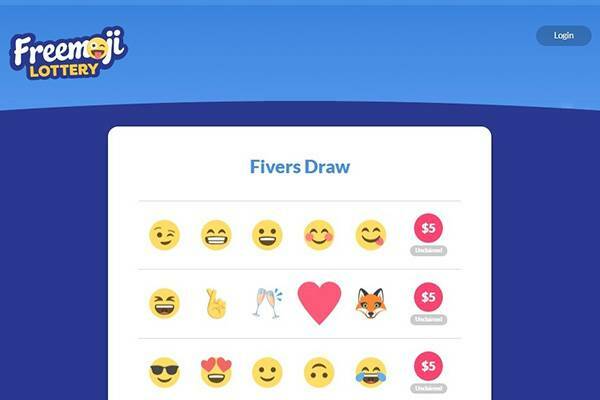 To use this platform potential players only have to register without a fee and then proceed with the lottery which involves picking a random 5 emoji combinations out of about 144 options. The picked emojis have to be correct and in the right order. If these are correct, they are then entered into a daily draw that produces one winner of between $20 and $260 every day. 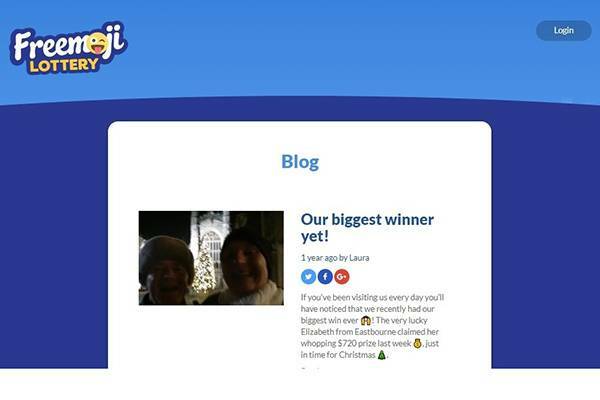 Advertisers whose products and/or services are featured on the site cover necessary expenses, thus making this site free to use for lottery players. Another interesting feature is the fact that all players’ email and/or social media accounts information is kept safe on their servers with the use of industry-grade security protocols. An additional amazing feature is that games are open to players above the age of 18, who reside in the English-speaking nations of Australia, New Zealand, Canada (excluding Quebec), Ireland, South Africa, United Kingdom, India and most states in the US. The pros here are that: it is totally free to use, there is always a daily winner and there is the security of users’ details hence protecting these from spam. The cons involved are however that: a small lottery prize is what is at stake, winners only have 24 hours to claim their prizes and there are no contact phone numbers as such customer support cannot be reached in probable cases of low and/or non-existent internet connectivity. 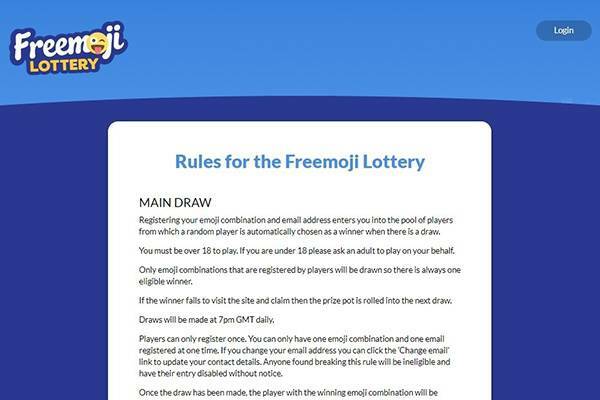 The unique thing about freemoji lottery is that draws occur daily and winners are also subsequently picked daily. Because each draw could roll-over, players are advised to always go back to check if they have won and in the case where they have, they should claim their winnings before subsequent draws as a search through the draw history would reveal many unclaimed prizes. Even as freemoji lottery is easy to use, the website creators have created snail mail and email addresses for the purpose of customer support. Through these platforms, players would also receive daily notifications on winnings. Despite this assurance of notifications, players are still advised to regularly check the website for winnings as these are 24-hour time bound. Freemoji lottery can only be played and/or accessed online as it does not come in form of applications on mobile devices. The website can, however, be accessed through android, apple and/or desktop devices. Although there are not clearly defined promotions on the platform at first glance, one would later realize that the ‘get your friends to play’ feature is actually a promo in itself. 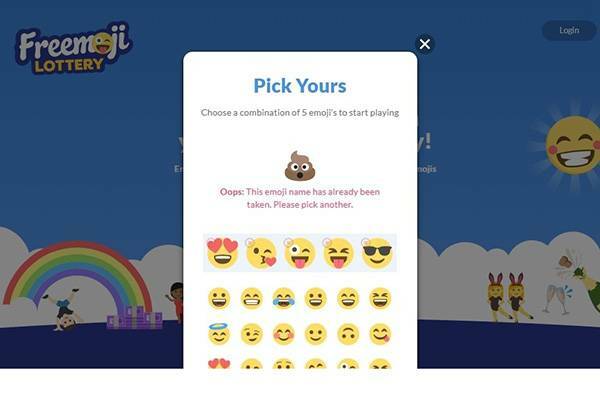 How this works is that you, a registered user clicks on 5 emojis on behalf of a friend and then send these to them either through their email or their social media platforms. If the friend then decides to join in, they can play these emojis. 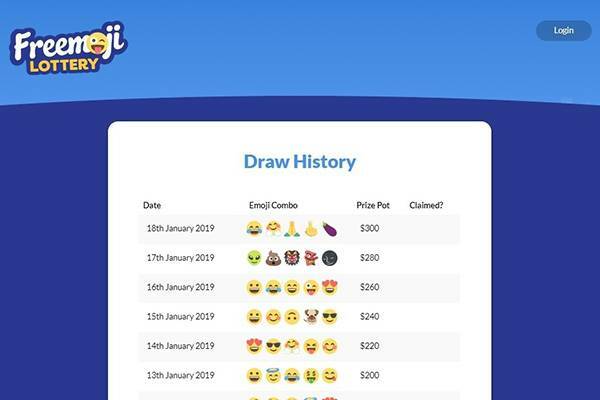 If these emojis are entered into the draw and they win, you get $10. This price could increase based on how many participants are playing per time. As this service is free, you need not worry about withdrawals from your account. However, you would be required to input your Paypal account details as your winnings would be credited to this account within 10 days of you clicking on the ‘collect my winnings’ button. There’s very little to go by if you’re looking for some written material. There’s also very little means for communication – only direct email and an active social network page. Is Freemoji Lottery legit or fraud? Based on multiple positive reviews about freemoji lottery, it can be concluded that freemojilottery.com is a legitimate site. Based on the fact that players’ email, social media accounts and, Paypal card information are kept secured by industry-grade protocols, the site is also safe and secure for use. Based on these, yes we would recommend this site for players who are in search of trustworthy lottery sites where they can improve their chances of winnings. Freemoji lottery has been designed to improve players’ chances of winning lottery games by utilizing fun and easy to use concepts: emojis. It is free and payments of winnings are made through Paypal accounts to players’ email addresses. It is legit and players need not be afraid of email spams or hacking of their social media and/or Paypal accounts. However, if you are looking at winning a mega jackpot/price, then freemoji lottery is probably not for you.